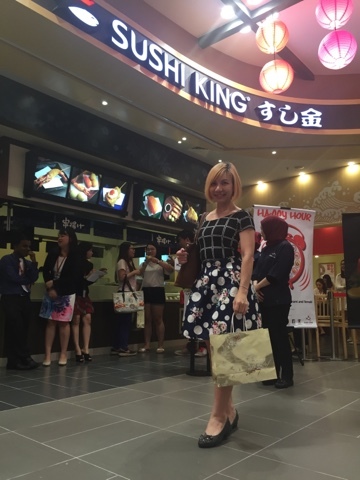 The launch is kick-started with the Taiko Drum Performance which is a traditonal Japanese musical instrument. 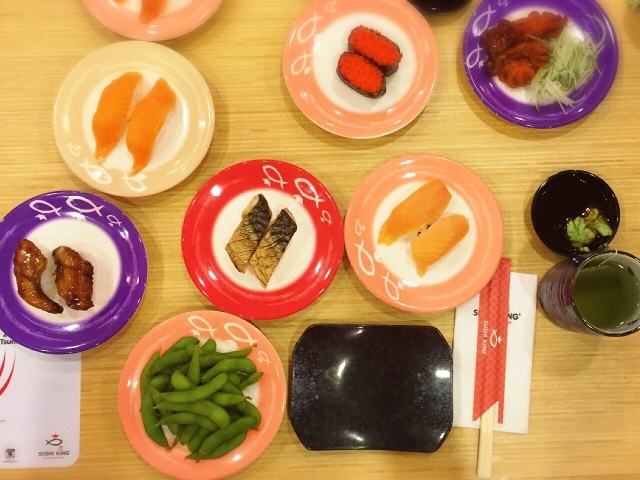 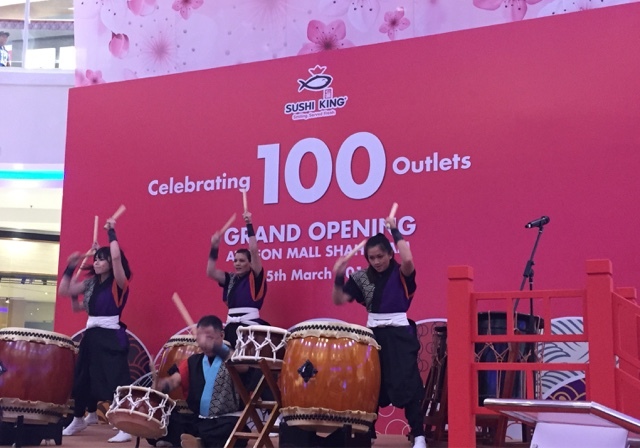 Tan Sri Dato’ Seri (Dr.) Fumihiko Konishi (third from right), Founder of Sushi King and Executive Chairman of Texchem Resources Berhad, executing the Mochitsuki ceremony or pounding of rice cakes to signify the launch of Sushi King's 100th outlet store in AEON Mall Shah Alam. 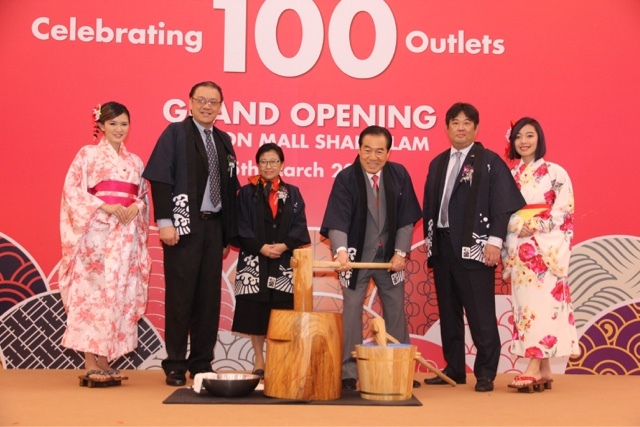 Together with Tan Sri are (second from left) Mr Brian Tan, Group President & CEO of Texchem Resources Berhad; Ms Nur Qamarina Chew Abdullah, Managing Director of AEON Co. (M) Bhd; and Mr Akihiko Hijioka, President & COO of Texchem Restaurant Systems Sdn Bhd. 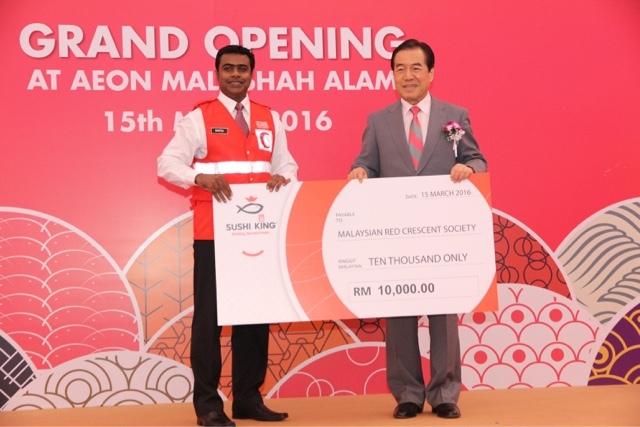 Tan Sri Dato’ Seri (Dr.) Fumihiko Konishi (right) presenting a token of RM10,000 to Mr R Nantha Kumar – Chairman-Chapter of the Malaysian Red Crescent Society in acknowledgement of the good work and dedication of the Malaysian Red Crescent Society actively rendering aid to the community.